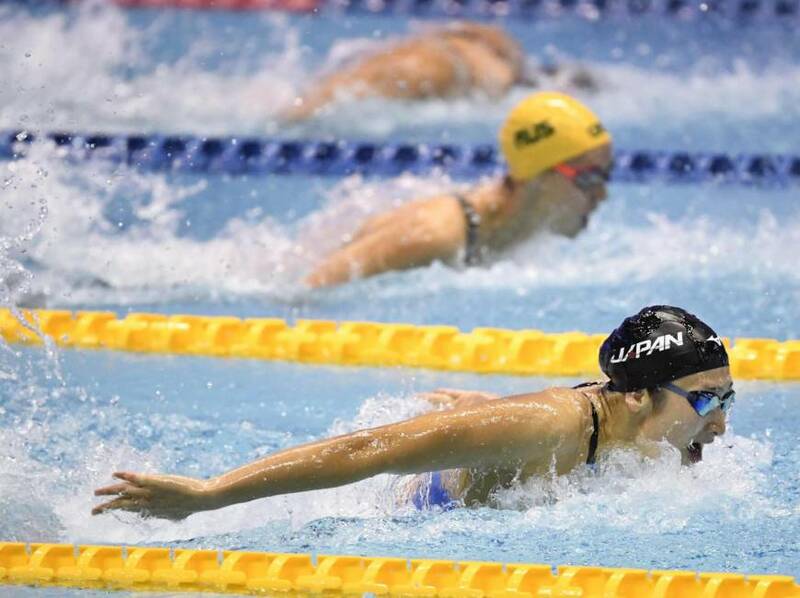 Rikako Ikee won gold in the women’s 100-meter butterfly final and set a national in the process on Saturday, bagging her third medal at the Pan Pacific Swimming Championships. 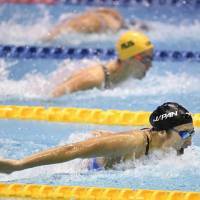 The 18-year-old touched the wall in 56.08 seconds at Tokyo Tatsumi International Swimming Center, 0.36 seconds ahead of American Kelsi Dahlia. Australian Emma McKeon took the bronze. Ikee claimed silvers in the 200-meter freestyle and the mixed-medley relay on Thursday, the opening day of the six-day meet. Yui Ohashi won the women’s 200-meter individual medley (2 minutes, 8.16 seconds), with compatriot Miho Teramura taking the bronze in 2:09.86. 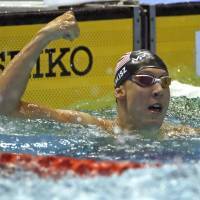 American Chase Kalisz continued his strong run, beating 2020 Olympic medal favorites Kosuke Hagino and Daiya Seto in the men’s 200 IM. Karlisz completed the race in 1:55.40, followed by Australia’s Mitchell Larkin (1:56.21), Hagino (1:56.66) and Seto (1:57.36). 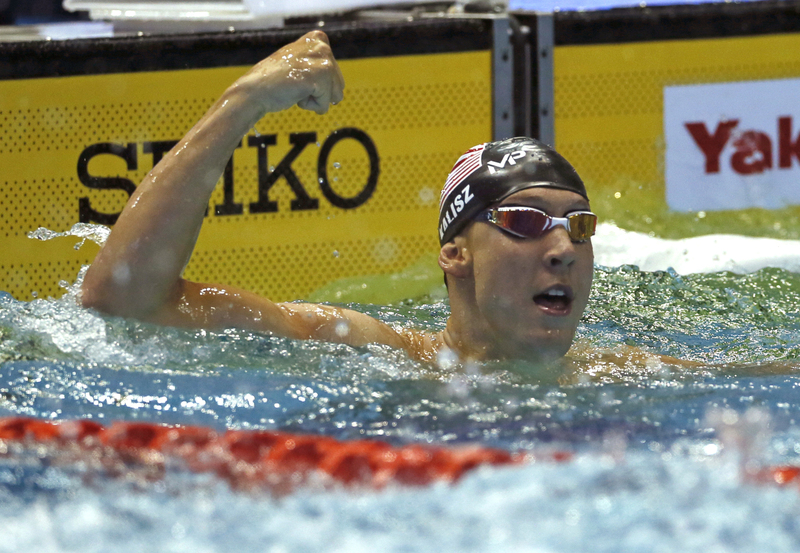 Japan finished third in the men’s 4×100-meter freestyle relay, after the United States team, which finished first, was disqualified. Katsumi Nakamura, Shinri Shioura, Katsuhiro Matsumoto, and Juran Mizohata set a Japan record of 3:12.54 in the event won by Brazil. Japan settled for fourth in the women’s race, which was won by Australia.